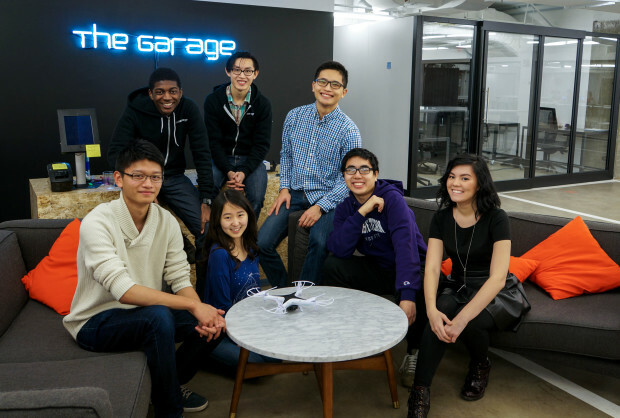 Rook was started by engineers at Northwestern University who noticed that all current drones on the market require you to be nearby to control them. They wouldn’t connect once you stepped out of range. 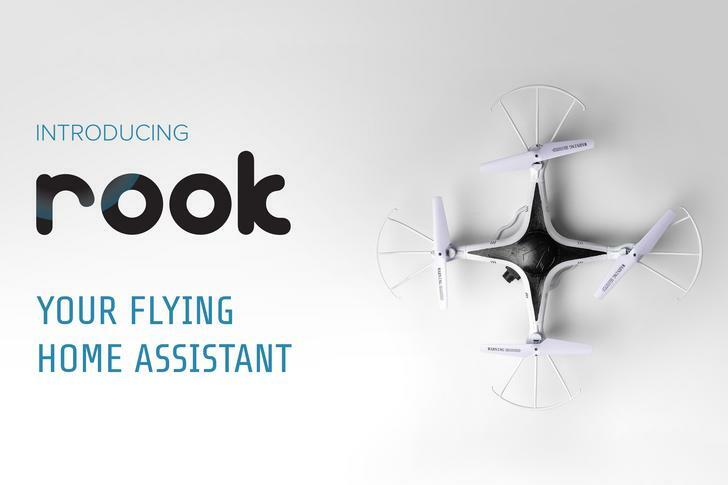 So we created Rook, the first consumer drone that connects to the Internet, allowing you to control the drone from your office, the gym, or anywhere else in the world… anytime! 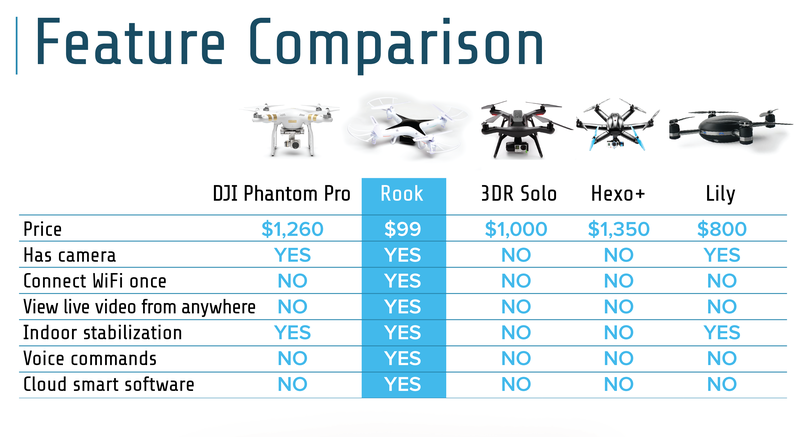 Current drones have complicated roll, pitch, and yaw controls (what?! 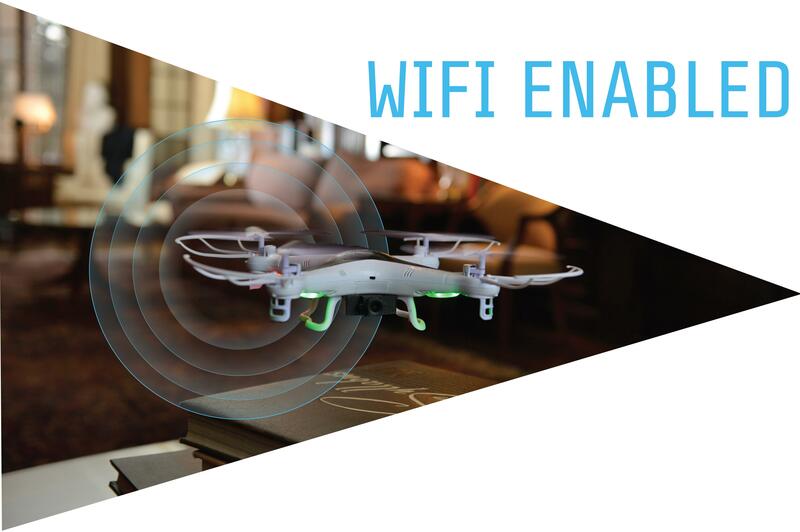 ), lacking intuitive controls that would be useful for everyday consumers. 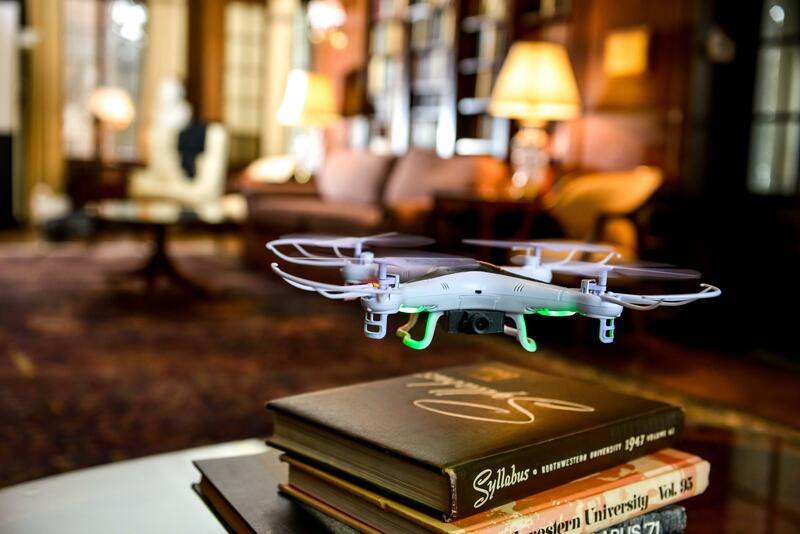 Users can’t easily program them or set up indoor flight routines. 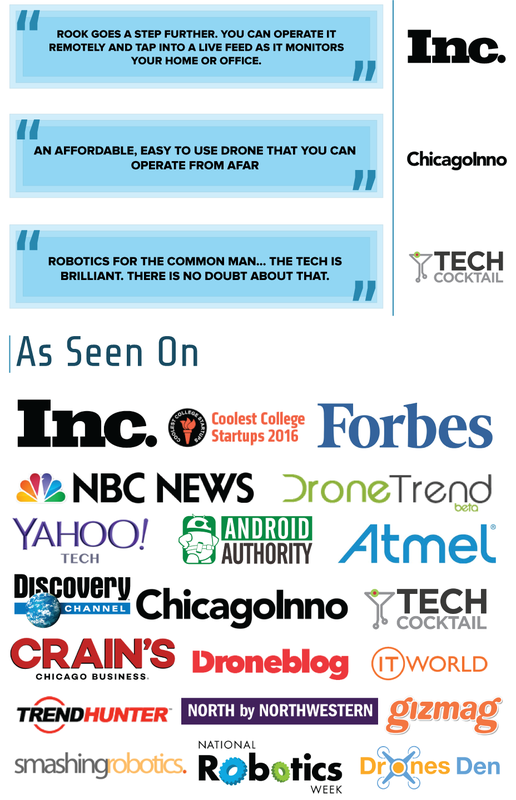 We wanted a drone that was easy to setup and fly. And that’s how the idea for Rook was born. 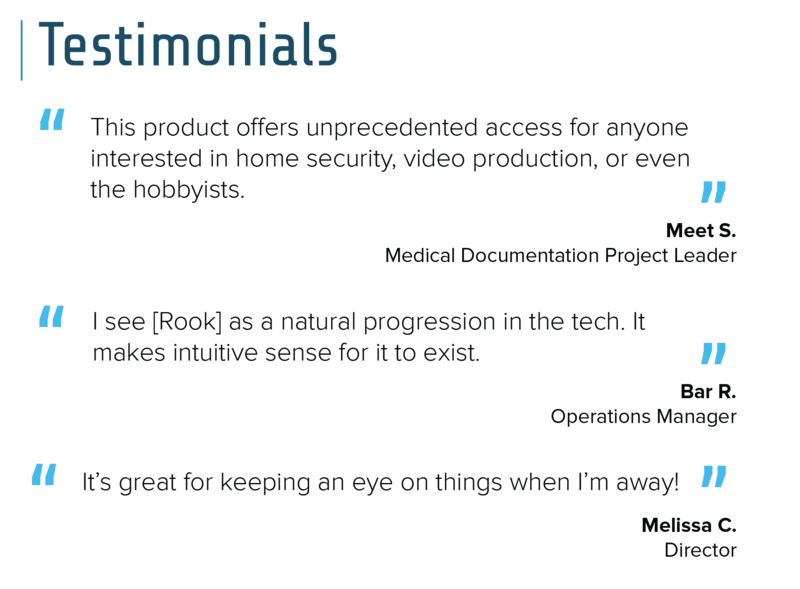 The basic free package allows you to stream video from Rook. In the future, we will also release premium paid plans to give you access to tons of cool features like security analytics, multi-user access, and triggered routines running on the cloud. 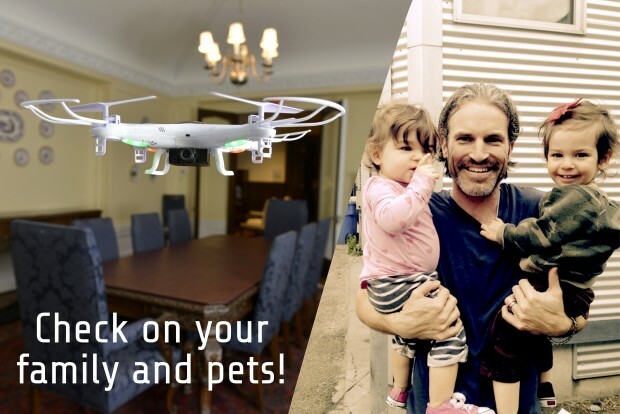 Premium plans will allow Rook to be integrated with existing smart home systems, be used for scheduled flight routines to check on the house, or allow realtors and property management folks to show their listings to clients who live far away. 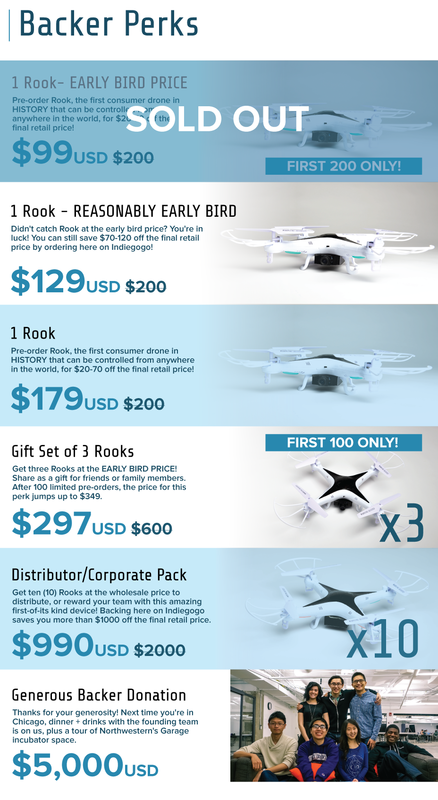 By backing this project, you’ll be the FIRST in the world to have your very own Rook, at a highly discounted price. In addition, a free Android/iOS app will let you control and view your Rook, anywhere you are. Finally, refer five friends and your Rook is free! 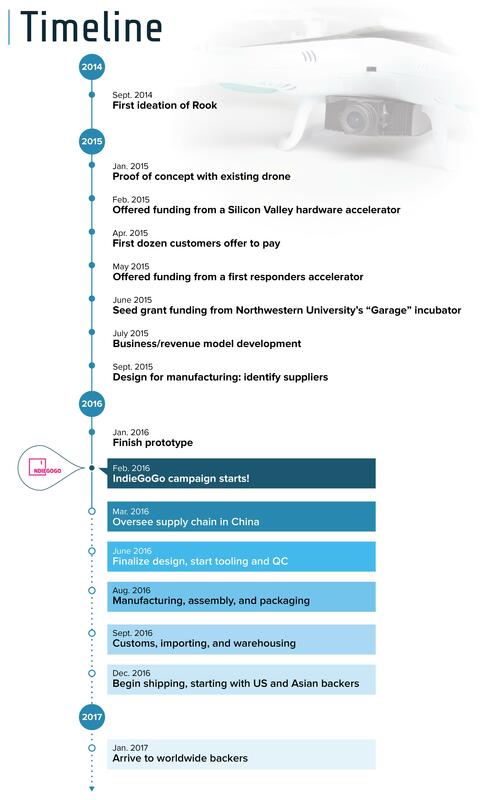 We’ll track your referrals through a special Indiegogo code once you back the campaign. 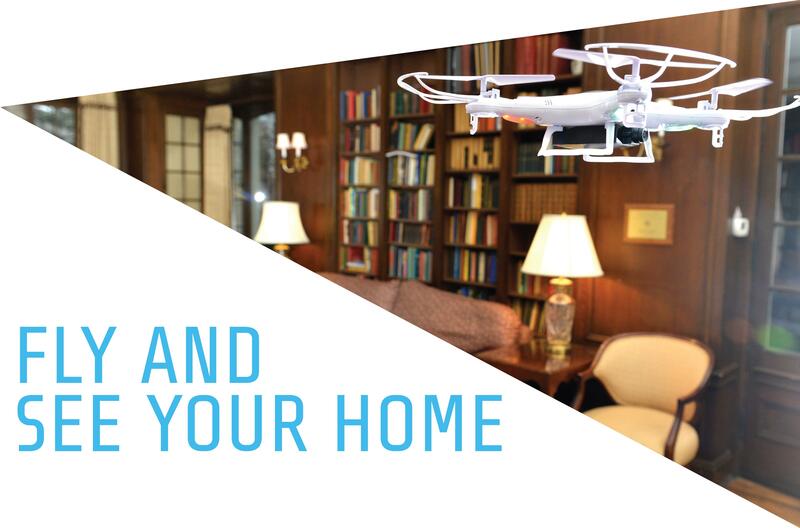 Our vision is a drone in every home, a flying robot assistant with useful software that you can use from anywhere in the world. 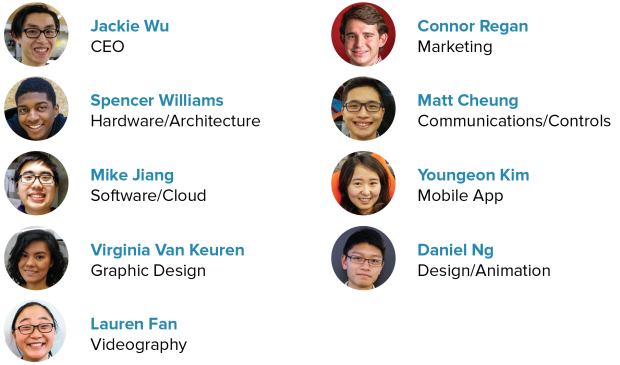 Join us in being a part of a visionary group of people who bring this vision of everyday robotics into the world!